50 winners matched 1 Ball + 2 Stars in the EuroMillions draw on 15/01/2019 from Berkshire, Bridgend, Buckinghamshire, Cambridgeshire, Canterbury, Cardiff, Cheshire, Cumbria, Derbyshire, Devon, East Riding of Yorkshire, East Sussex, Gloucestershire, Greater Manchester, Hampshire, Hertfordshire, Kent, Lancashire, Leicestershire, Lincolnshire, London, Merthyr Tydfil, Newport, Norfolk, Northamptonshire, Northumberland, Nottinghamshire, Oxfordshire, South Lanarkshire, Surrey, Timis, West Midlands, West Sussex, Wiltshire and Worcestershire. 50 winners matched 2 Balls in the UK Lotto draw on 16/01/2019 from Aberdeenshire, Cambridgeshire, Canterbury, County Mayo, Devon, Dorset, East Riding of Yorkshire, East Sussex, Edinburgh City, Essex, Fife, Glasgow, Greater Manchester, Hertfordshire, Kent, Lancashire, Lincolnshire, London, Merseyside, Merthyr Tydfil, Middlesex, Norfolk, North Lanarkshire, Northamptonshire, Nottinghamshire, Oxfordshire, West Midlands and West Sussex. 33 winners matched 2 Balls in the UK Lotto draw on 16/01/2019 from County Antrim, East Renfrewshire, East Sussex, Essex, Glasgow, Guangzhou, Hampshire, Hertfordshire, Kent, Lancashire, Leicestershire, London, Middlesex, Midlothian, Northamptonshire, Northumberland, Staffordshire, Tyne and Wear, West Midlands, West Sussex and West Yorkshire. 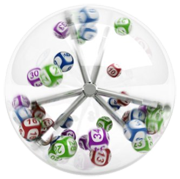 36 winners matched 2 Balls in The Health Lottery draw on 16/01/2019 from Berkshire, Cardiff, Devon, East Ayrshire, East Sussex, Edinburgh City, Essex, Fife, Greater Manchester, Herefordshire, Kent, Lincolnshire, London, Middlesex, Norfolk, West Midlands, West Sussex, West Yorkshire and Worcestershire. 41 winners matched Thunderball in the UK Thunderball draw on 16/01/2019 from Bedfordshire, Bratislavsky Kraj, Buckinghamshire, Canterbury, Cardiff, County Mayo, Devon, Dublin, East Sussex, Essex, Fife, Highland, Lancashire, Lincolnshire, London, Merthyr Tydfil, Middlesex, North Lanarkshire, Staffordshire, Tyne and Wear, West Midlands, West Sussex and West Yorkshire. 36 winners matched 1 Ball + Bonus in The Health Lottery draw on 16/01/2019 from Berkshire, Cardiff, Devon, East Ayrshire, East Sussex, Edinburgh City, Essex, Fife, Greater Manchester, Herefordshire, Kent, Lincolnshire, London, Middlesex, Norfolk, West Midlands, West Sussex, West Yorkshire and Worcestershire.